The Infinissima® Black & Red pod coffee machine by De'Longhi®, with its slim design and infinity symbol inspired shape, is our most surprising coffee maker yet. 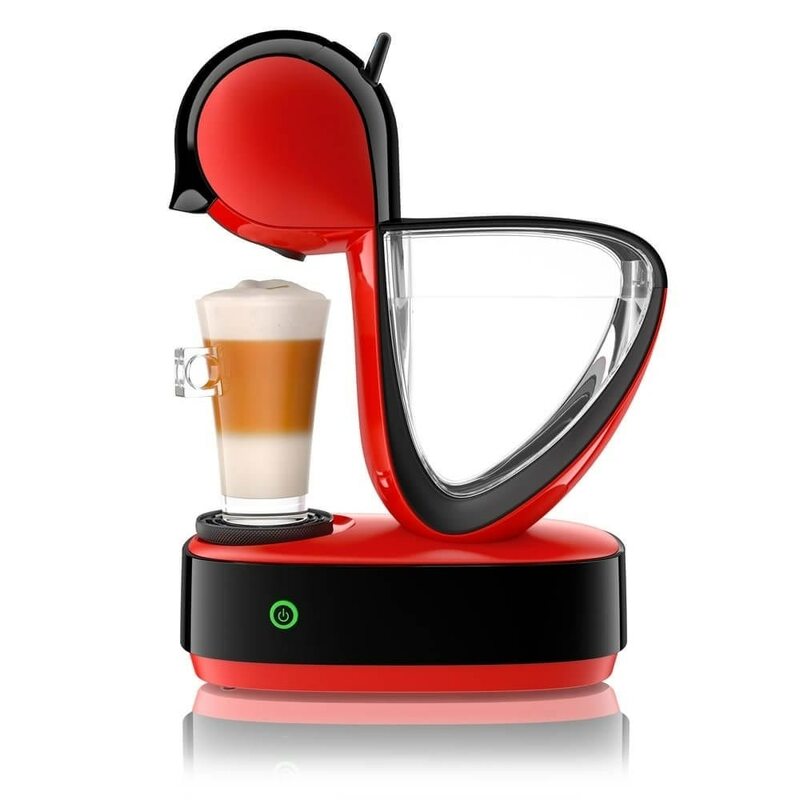 Enjoy creating and drinking infinite coffee possibilities with ease thanks to a removable 1.2L water tank and the unique rotating drip tray. The Infinimissa Black & Red by De'Longhi® measures 15cm (W) x 37cm (H) x 28cm (D). 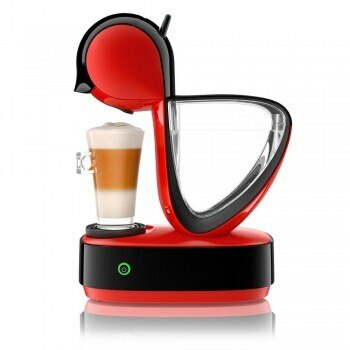 Slide in your favourite coffee pod and create the perfect drink with a simple motion of the lever. With the Infinissima® Black & Red coffee machine by De'Longhi®, you can create everything from the smallest 30ml Ristretto to our largest coffee. The Infinissima® Black & Red has a maximum pump pressure of 15 bars, meaning you can enjoy a professional coffee with a thick, velvety crema at home. The adaptable Infinissima® Black & Red pod coffee machine by De'Longhi® can prepare not only hot but also delicious cold drinks.